← WTF Am I Doing? 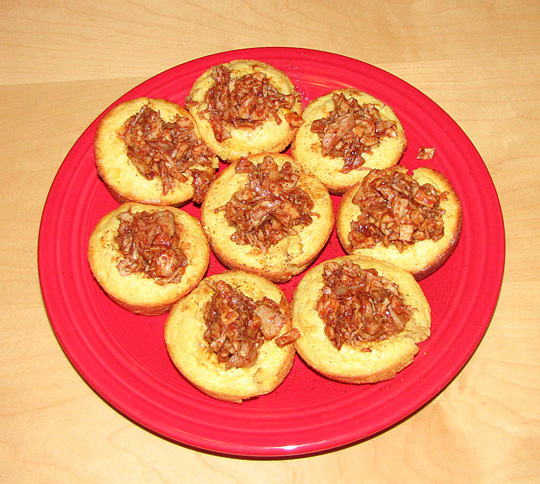 BBQ cornbread muffins for the Super Bowl. Gallery | This entry was posted in Daily Life and tagged daily life, food, humor, super bowl. Bookmark the permalink. That does not even look good to me. It’s just a rotisserie chicken chopped up and put on cornbread. Cap’n Firepants would totally love that. BBQ and cornbread are two of his favorites. Oh, I think it looks good! Two great Southern faves.